There are many reasons authorities block access to certain websites. Some workplaces may block social media sites or access to your personal email. You might also experience blocks at your university, college or school. If you find yourself in this situation, and are looking at a workaround you can apply to overcome this block, don’t worry, we have 10 ways you can try. We have listed 10 methods here you can try, because different types of blocks require different types of techniques to bypass. Do try each of them to you find one that works for your situation. And if you have any other methods you would like to share with fellow readers, do use the comment section. Some software block website pages by its name or URL only. For example: a block may be applied on www.facebook.com but not on the IP of the website. You can get the IP from Terminal on OS X or Command Prompt if you using Windows. Insert this and press Enter. Copy the IP that is shown in the results onto your browser’s address bar and open the site as usual. 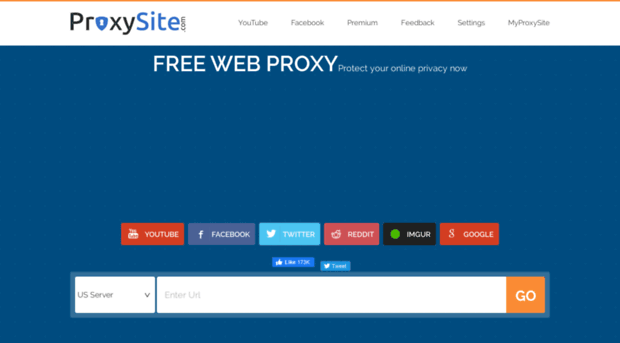 There are many free web proxies that provide servicse to browse the web anonymously. You can use them to access any blocked site easily. Just go the website and enter the URL you wnat to browse. How does this work? When you browse a website using a proxy site, you are not actually connected to that website. You are connected to the proxy server, while the proxy server is the one that is connected to the true website destination. What you see is cached version of the site that the proxy server gives to you. You can try Proxysite or Proxery, but if you want more options, check outNewproxysite. A Virtual Private Network or VPN is a remote server that gives you private access through a public network. VPN makes it looks as though you are browsing from the country where the server is located, thereby hiding your real identity. There are many VPN service providers you can use, some offer services for free, others require a subscription. Hola is my favorite free VPN service. It allows you to browse privately and without censorship, and it has a browser extension for Chrome and Firefox users. Tor is a browser that allows you to browse anonymously, prevent your browsing habits or your location from being tracked, ensuring privacy. Thanks to volunteers from around the world that create this distributed network of relays, you can browse under the protection of Tor. To use, first you need to download the Tor Browser; install it like a usual application. Open the application, then click Connect to start your connection with the Tor network. Some Internet Service Providers (ISP) use their own DNS to block access to some websites. To open the block you can bypass the restriction from ISP using Google Public DNS. Under the DNS configuration of yoru network, change your DNS to the following Google Public DNS IP addresses as your primary or secondary DNS server. Google Translate allows you to translate website content from one language to another. But you might not know is that if you enter the URL of a blocked site into Google Translate, then click ont he URL link on the right side, the blocked site will be accessible in the translated language you chose. Click View: Original to go back to the version with the original pre-translated language. Here you can do the trick by entering URL of blocked site on the Google Translate, then click the URL link on right side and let it show the magic. The blocked site will opened with translation language. Then you can click view:Original to retain the original language. Go to Preference > Advanced and choose tab Network. Under Connection clickSettings, then choose Manual Proxy Configurations. Here, you enter the HTTP Proxy obtained from Hidemyass, followed by the port number, and click OK. If you want to set the proxy for Chrome only, you can use Proxy Helper. You can use this service from Pentest Tools to get the IP address for a blocked website’s domain and subdomain. Just insert the domain name and check ‘Include subdomain details’ and click START, then wait while the tool does the job for you. When it is done, copy the IP address and domain/subdomain. Scroll down to the opened hosts file and paste the IP address right there. PressControl + X then Y to save the file. The command will run the SOCKS server on port 12345. You will be asked for a username and password. After a successful login, just minimize the terminal, don’t close it. Next, open your Firefox browser and go to Preferences > Advanced > Network > Settings. Check on Manual Proxy Configurations, enter 127.0.0.1 on SOCKS Hosts and insert the Port number you picked when you created the SSH tunnel. Click OK to save your new settings.